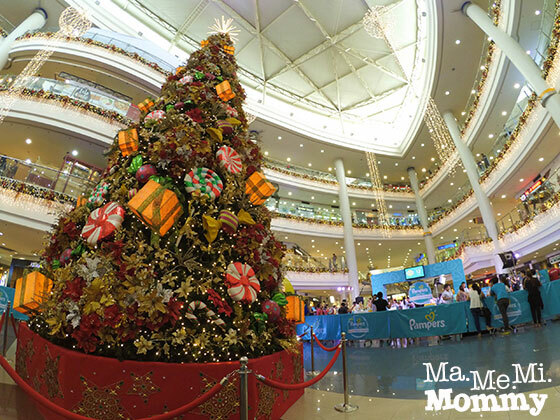 Christmas came early to those who joined and took the New Pampers Baby Dry 99.9% Dryness Challenge last Sunday at Robinson’s Place in Manila. To those who were not able to make it, here’s what you missed. It was held right in the Atrium, hard to miss. In this popup event, there were several booths to accommodate the participants for the challenge. In each booth was a setup like this and a Pampers staff to assist you. It’s like the ones in the commercial where there are two beakers of blue liquid and on one side is the Pampers diaper and on the other side, Brand X (or your own brand of diaper if you brought one). I was not able to bring one so I just used their Brand X to compare. Before the challenge starts, you will be asked which side you are betting on, Pampers or Brand X. Trusting the timeless brand, I put my money on Pampers. And so the test began. With the corresponding diapers placed underneath the tubes, the assistants started pouring 250mL of blue liquid into the tube. It wasn’t long before the Pampers diaper absorbed all 250mL of liquid while Brand X gagged and choked. I relieved the assistant from pouring for so long to pose for a photo-op. When the beaker was finally empty, the diaper was taken out. A 5lb weight was then placed on top of each, sandwiching a paper towel in between. When the weight was removed, the paper towel on Brand X was soaked with blue liquid, while the one on the Pampers side was unbelievably dry! Amazing! Whew! Good bet for me! I wouldn’t want to expose my baby’s bum to that much wetness the entire night! You can even bring your kiddos as they have a play area for them while you do your challenge. 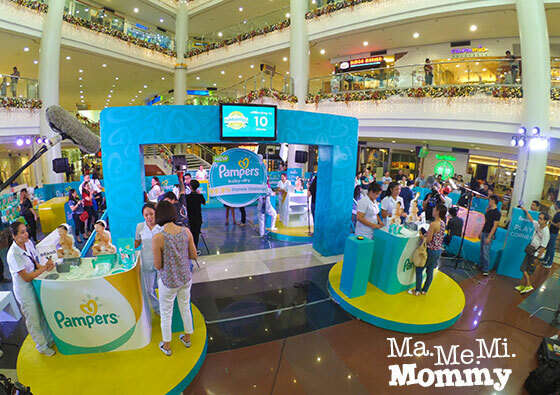 Be sure to visit the Pampers Philippines Facebook page for more details (www.facebook.com/PampersPh). Nice meeting you last Sunday! Hope to see you again soon! 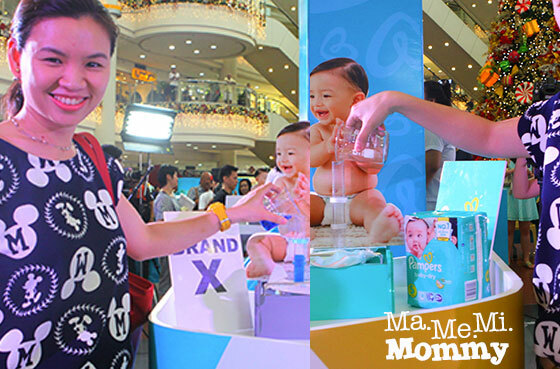 Topaz Mommy recently posted…Take the Pampers Baby Dry Skin Dryness Challenge! Wow it really looks dry! Awesome! But almost just as awesome as your 1k gift certificate. So blessed! Maan recently posted…Christmas 2015 Wish List! Awww such an exciting event sana. 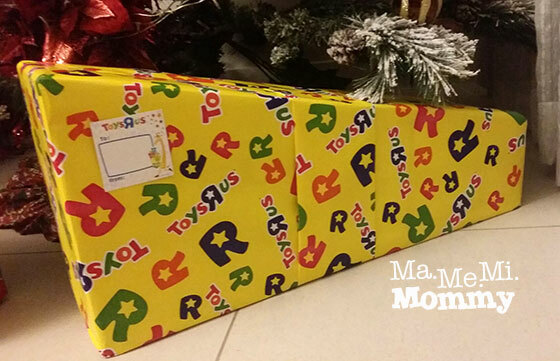 Mhaan Arambulo-Delos Santos recently posted…Rookie Mommy PH celebrates its 1st Year Anniversary with lots of giveaways! Nice! 🙂 I miss events like this and I miss having a baby. When my kids were babies our go-to diaper brand was always Pampers. My kids are growing up too fast too. It won’t be long before I’ll miss having babies too.